Vice President, Prime Minister and Ruler of Dubai, His Highness Sheikh Mohammed bin Rashid Al Maktoum, stated that assisting local sectors has played a significant role in the qualitative advancement of Dubai’s aviation sector during the previous years. These sectors have formed an effective and integral system that contributed to achieving many accomplishments under Dubai’s strategy to become a model, to be followed in developing local economic sectors, he added. 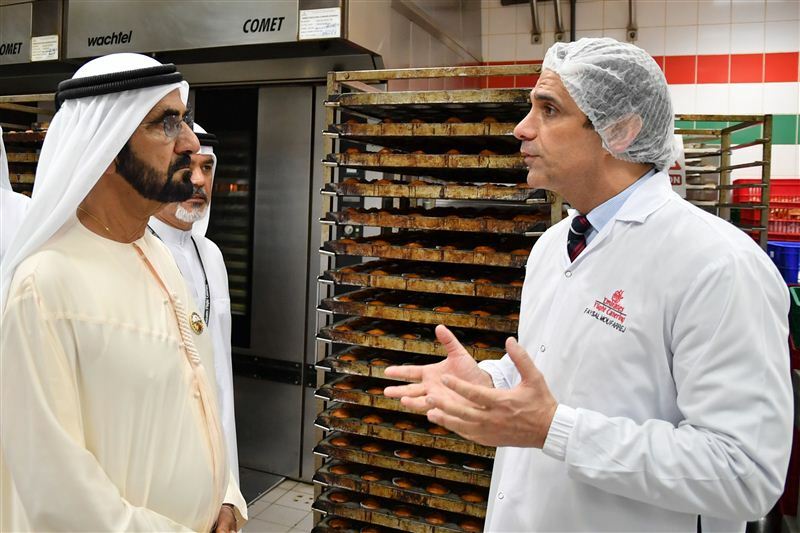 His Highness Sheikh Mohammed bin Rashid made this statement while on an inspection tour of the production facilities of Emirates Flight Catering, one of the companies of the Emirates Group and one of the largest flight catering companies in the world. He viewed the work of the company, which offers food catering services to around 120 aviation companies, most notably Emirates Airline, the official airline of Dubai. During the tour, His Highness Sheikh Mohammed expressed his happiness and pride at the technological development of Emirates Flight Catering. He learnt about the company’s production capacity of around 220,000 meals per day, which it produces for Emirates Airlines and its First Class and Business Class lounges. He also inspected the company’s main catering unit and central bakery, which were launched last year to keep pace with local and international demand. The main catering unit handles and processes 15 tonnes of vegetables, nine tonnes of fruits and 30 tonnes of meat daily. Additional units were also added to produce pasta and ice cream while the central bakery uses 3,300 tonnes of flour per year, to produce 45,000 pieces of over 90 types of pastries. His Highness then inspected the main production unit and viewed the upper conveyor belt system, which transports around 29,000 food carts daily through an internal transportation network stretching 2.55 kilometres. The system also used transports food carts to the cleaning section, where over three million pieces of utensils and dishes are treated and washed daily. 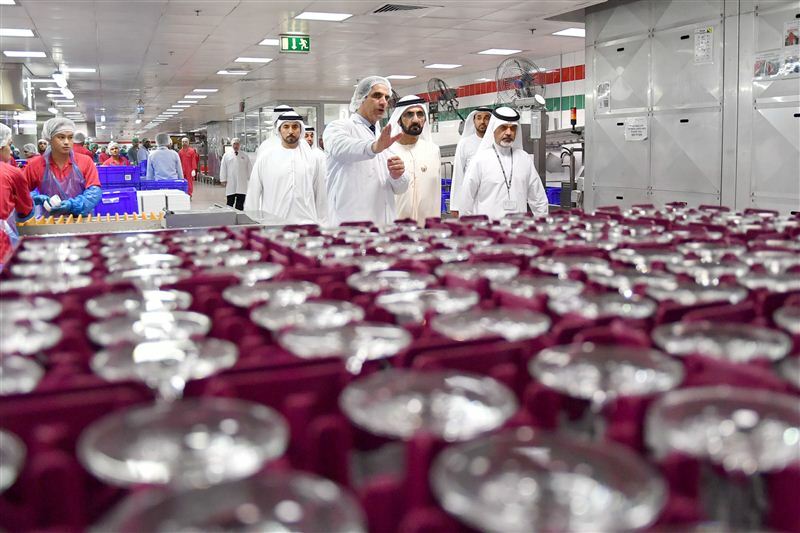 Sheikh Mohammed also viewed specialised production units, where over 520 chefs work round-the-clock to create around 1,548 different menus every year. 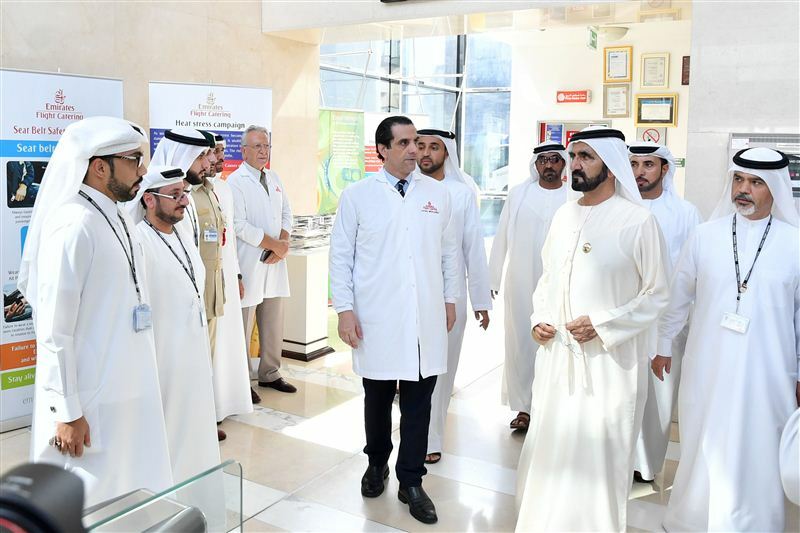 During his visit, Sheikh Mohammed expressed his satisfaction with the quality of the company’s food, the high level of food safety, and the efforts and expertise of the staff over the course of many years, reflecting the exceptional level of service offered by the company. The company currently has over 10,000 employees from 50 countries around the world, who work in an environment that relies on co-operation and dedication, to answer the needs of its clients. He was accompanied by H.H. Sheikh Ahmed bin Saeed Al Maktoum, Chairman of Dubai Civil Aviation Authority and Chief Executive of Emirates Group and other senior officials.